Have you heard we now save $14,000 per month on energy? So thrilled to receive such great feedback from Warringah Council on our energy saving efforts …. “Check out one of our star local businesses, Col Crawford, which is receiving great wins from sustainability initiatives. By reducing power usage and installing solar, Col Crawford’s are saving $14,000 per month on energy”. Col Crawford’s decided to implement a comprehensive sustainable energy upgrade in order to protect the environment, realise an immediate improvement to the bottom line with a ‘cash flow positive’ project, hedge against rising energy prices and to improve the efficiency of their business. Integrating solar power and energy efficiency into the one energy project improves the technical, environmental and financial outcomes delivered. Before agreeing to the deal Autonomous Energy first provided Col Crawford with a detailed feasibility study that Col Crawford’s executives said demonstrated “phenomenal” and immediate savings to the bottom line. Col Crawford’s said the decision was essentially a “no-brainer”. 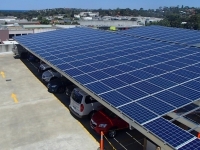 The project is genuinely ground-breaking because approximately half of all the solar panels are integrated into a new solar carpark shading structure. Savings are equivalent to removing 577 cars from the road or generating enough energy to power more than 200 houses. “The current climate of low interest rates, falling solar panel costs, government rebates and ever increasing electricity prices has contributed to our decision to implement solar & energy efficiency using finance. It simply makes good business sense. 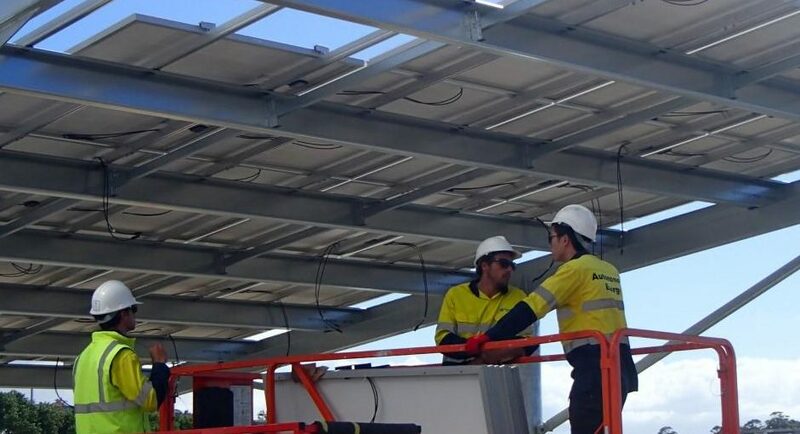 Coupled with Autonomous Energy’s high level of service, expertise and experience as well as CBA/CEFC’s very attractive product and excellent service has helped make the process of installing solar and generating electricity so much easier.” – Simon Chui – Chief Financial Officer, Col Crawford’s.